. . . . . Danmarks Jernbanefrim鎟ker . . . . . 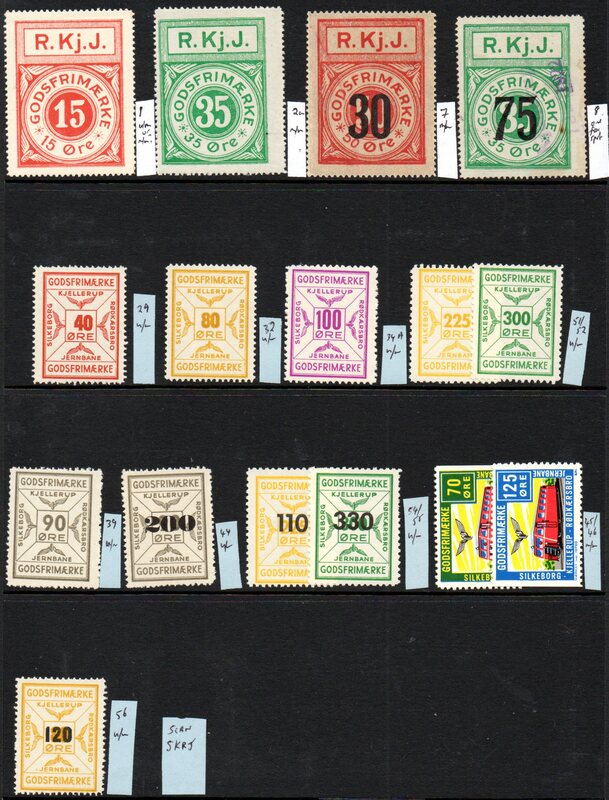 The scan ABOVE displays all the stamps as originally offered, sold and unsold. The Price column in the table ABOVE indicates whether an item is sold or, if still available, gives the selling price. 2. The catalogue number, description AND Price. ** Please note that, where there is more than one table on a page, each table has its own 'Table for Scan' reference and this needs to be given for each item. We have not provided links to previous or following pages for technical reasons. If you started at the Danish Railways Introduction page, that page, with links to all the other Danish Railway lists, will normally still be open in another tab. If not, you may access it here: Link to Introductory Page for Danish Railway Parcel Stamps .